Уважаемые производители и импортёры автомобильных шин! ООО «ЧРЗ» предлагает Вам заключить договор на оказание услуг по утилизации автомобильных шин и камер в целях выполнения требований ст.24.2 Федерального закона №89-ФЗ «Об отходах производства и потребления», в части обязанности производителей, импортеров товаров обеспечивать утилизацию отходов от использования этих товаров в соответствии с нормативами утилизации, установленными Правительством Российской Федерации. № 050 002. Мы уверены, что наша отчетность не вызовет никаких сомнений у проверяющих органов. ООО «ЧРЗ» имеет возможность утилизировать автомобильные шины и камеры в объеме до 25000 тонн в год. Предлагаемая цена данной услуги в 2019 году составляет 3600,00 рублей за тонну, в т.ч. НДС (20%). For tire producers and importers. 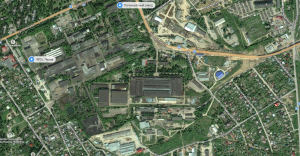 Extended Producer Responsibility (EPR) started in Russia in 2015. Producers and importers of such goods as tires are included in Extended Producer Responsibility. The essential principle is that producers and importers of the goods have to provide waste recycling for these goods. They can do it unassisted or by means of processing companies. However, producers and importers who cannot provide wastes recycling must pay Eco Tax to the Federal Budget. The amount of Eco Tax for tire producers and importers is defined in the Government Resolution No. 284 of April 09, 2016 as 7019.00 rubles per ton. The quantity of tires which should be recycled is defined in the Government Order No. 2971-r of December 28, 2017 as 20% from produced or imported tires in 2019, and 25% from produced or imported tires in 2020. Producers and importers may sign an agreement with a recycler or pay Eco Tax to the Federal Budget. The evidence from practice shows that it is more profitable for producers and importers to cooperate with a recycler. 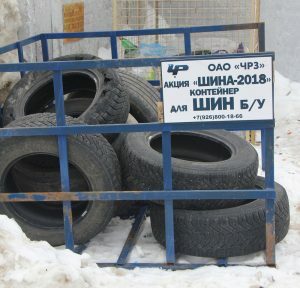 OOO «CHRZ» (LLC) offers you to sign a contract for the disposal of tires and inner tubes in order to meet the requirements of article 24.2 Federal law 89-FZ «On production and consumption waste», regarding the obligation of producers and importers of goods to ensure the disposal of waste from the use of these goods in accordance with the standards for recycling established by the Government of the Russian Federation. OOO “CHRZ” is the largest company in the industry, having experience in the field of tire recycling since 1942 and an impeccable reputation. 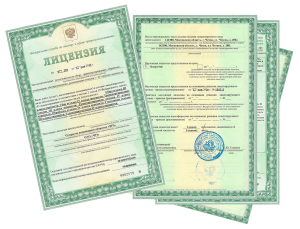 Our company has the license for the activity on collecting, transportation, processing, recycling, neutralization, placement of waste tires of January 15, 2019 No. 050 002. We are confident that our reporting will not cause any doubts among the inspection bodies. OOO «CHRZ» has the ability to dispose of tires and inner tubes in the amount of up to 25,000 tons per year. The offered price of this service for tire producers and importers in 2019 is 3600.00 rubles per ton, including VAT (20%).